October is Black Speculative Fiction Month. Black speculative fiction is as diverse as the African diaspora itself. The sub-genres and stories that are birthed from black speculative fiction speak to a universal humanity, resilience, and creativity that are hallmarks of those who rise above oppression and hardships. It’s one of the reasons I love weird westerns. As a child growing up in a housing project in Knoxville, Tennessee, my mother loved watching Clint Eastwood westerns. Well, those were her favorites, but we watched all the television western show, Little House on the Prairie, Gunsmoke, Rifleman, and others I was too young to remember. Often I lost interest because, well, none of the characters looked like me, and honestly, the plots seemed too simple. You’ve seen one; you’ve seen them all. Looking back, I discovered what intrigued my momma was the difficulties those early pioneers endured and how they persevered to overcome them. The very human will to continue to survive and the outlaw nature of the western resonated with her–and with me. You see, the housing projects where I grew up had all the characteristics of the wild west–shoot outs, fights, ruckus, chases, poverty, and a strong sense of community peppered with a strong distrust for law enforcement. So it isn’t any wonder that as a writer, one of my favorite sub-genres to write are westerns, but not the traditional ones. I also adored Stephen King, Edgar Allan Poe, and Shirley Jackson growing up, so my westerns are the weird ones. I’d always been a fan of Stephen King’s The Dark Tower. It is in fact, my most favorite series to date, weird western or otherwise. When I moved to Gallup, New Mexico in 2001, my true love affair with weird westerns began. Living in the southwest gave me a direct connection to the “west” I’d been exposed to on television. It didn’t disappoint. In fact, the Land of Enchantment forced my childhood visions of the west (as dictated by television) to wither by comparison. Here was the west, in all its glory. I traveled all around the southwest, Arizona, Utah, Colorado, and New Mexico extensively during my 6 years in the southwest. I discovered new foods, cultural flavors, and people. I’d moved from San Diego, California to Gallup, New Mexico, and had become enthralled by the diversity. These experiences only served to fuel a now raging creative fire inside me. What these trips, conversations with people, and historical research taught me was the west, particularly the southwest, was anything but white. A thriving and surprisingly diverse populous lived together in these communities. Chinese Americans, various Native American tribes, freed African Americans, Spanish individuals from Mexico, and other European groups all converged in these dusty towns. This made me crave a more authentic western story that wasn’t televised. And I love Star Trek. 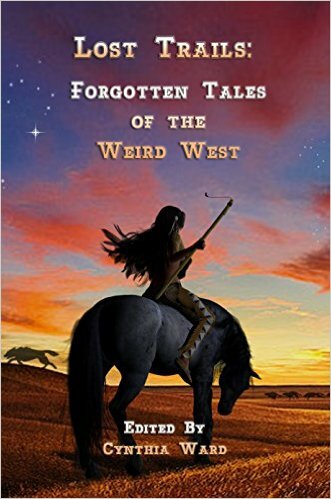 So, when Cynthia Ward and Wolfsinger, put out a call for diverse western stories. I got back on my horse and began to write more. 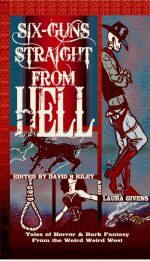 Thankfully, I wasn’t alone in my need for diverse weird westerns, and this anthology didn’t disappoint. 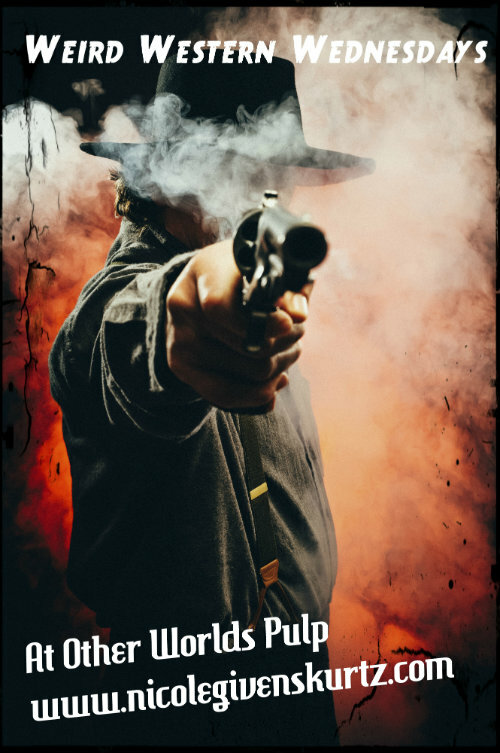 What I have learned from writing and reading weird westerns in the humanity that unites us. If that’s strange or weird, then we’re all weird here. That’s what we do. Check out LOST TRAILS: Forgotten Tales of the Weird West today.